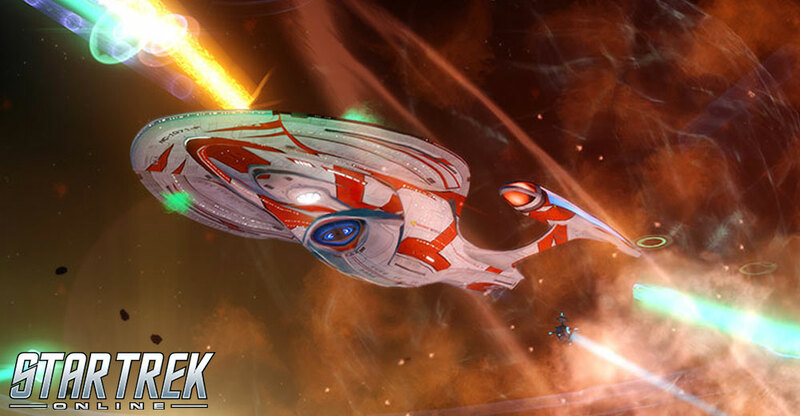 The Mirror Invasion will be returning to Star Trek Online as part of a limited time event starting on May 10th at 8am PT and ending on May 31st at 10am PT.This event map will only be playable during this three week event timeframe. Once a day, players will be awarded a Multidimensional Transporter for playing this event. By turning in 14 Transporters through a new project available in the Event Reputation System, players can receive 50,000 Dilithium Ore, 500 Fleet Marks, 250 Marks of their choice, and a brand new unique weapon – the Agony Phaser Energy Torpedo Launcher! Based on the well-known weaponry typically fired in the form of directed energy weapons, this projectile is specially equipped to encase itself in the harmful power of agony rays, afflicting the crews and subsystems of enemy starships with a deadly overload of painful power. Upon hitting a foe, this torpedo has a chance to disable the target and cause Phaser damage over time. Unlike most torpedo launchers, the Agony Phaser Energy Torpedo Launcher's damage is enhanced by abilities and items that improve Phaser damage, and not those that improve traditional Torpedo weapons. Defend Vauthil Station from the incursion! We cannot let the terrible Terran Empire get a foothold in our dimension! The mysterious feeling of deja vu . . .